The day is here! At approximately 5:30 local time, The Queen will pass Queen Victoria as the longest reigning monarch in Britain and the other realms, a reign of 63 years, 7 months, 2 days, 16 hours, and 23 minutes. Her Majesty is staying at Balmoral Castle with her family, but emerged for one engagement today. 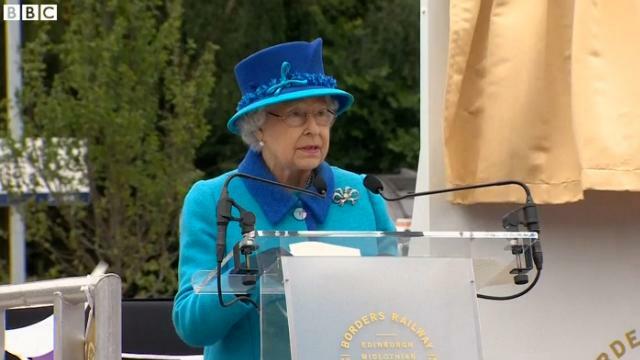 The Queen and The Duke of Edinburgh, accompanied by First Minister Nicola Sturgeon, opened the Borders-to-Edinburgh railway in Scotland. Could it have been anything other than one of Queen Victoria's Bow Brooches? This is one of the brooches best known for having come from her great-great grandmother, but it's also one that we see all the time - right in keeping with her desire not to make a fuss on this day. She did make a short speech today (which you can see here, along with other tributes). Making brief note of her milestone, which she said was "not one to which I have ever aspired," she also conveyed her thanks: "Inevitably a long life can pass by many milestones - my own is no exception - but I thank you all and the many others at home and overseas for your touching messages of great kindness." 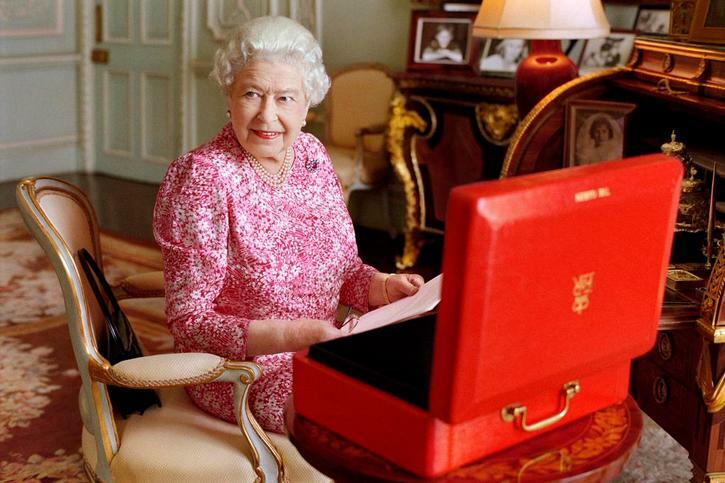 Picturing the 89-year-old sovereign at work with one of the famous red boxes of state papers and in front of a photograph of her mother, who lived and worked past the century mark, it seems there is a clear message to be read here: Her Majesty's not done yet. 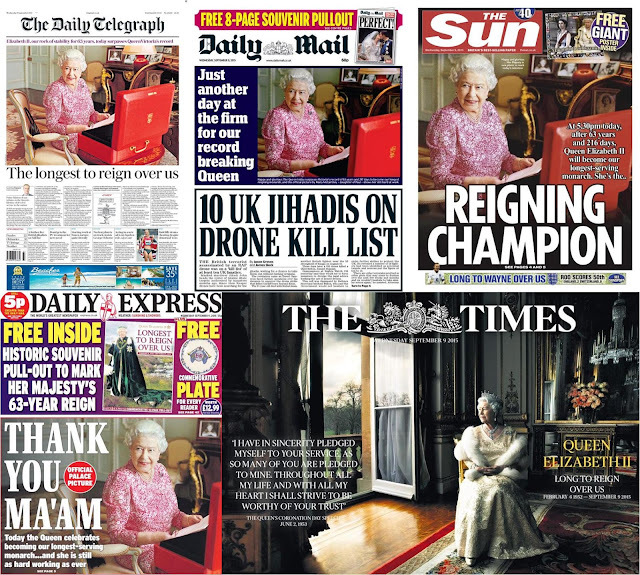 And long may she reign!